Born June 9th 1880, Dr. Purdie attended St. Paul’s Anglican Church on Prince Edward Island and was converted at age 19 through his mother’s oldest sister. Following his conversion, Dr. Purdie reported: “The call of ministry began to impress on me. I had to preach the gospel or die.” He moved to Toronto in 1902, where he studied for five years at Wycliffe College. Dr. Purdie saw Wycliffe faculty as “champions of the Evangelical truths of the Bible and the Reformed faith of the Reformation.” He called them “scholarly men who were out and out for God”, the highest compliment that Purdie could pay anyone. Wycliffe became the future model for Dr. Purdie’s own Western Bible College where he trained 600 clergy over twenty-five years. After pastoring three rural Anglican congregations in Manitoba, Dr. Purdie joined the staff of St Luke’s, a large Anglican congregation in St John New Brunswick where he led open-air meetings on Sunday night for as many as five thousand people. In 1911, Dr. Purdie first heard of the renewal of the Holy Spirit through a booklet he received in the Maritimes. 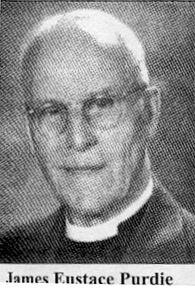 In 1917, Dr. Purdie moved to St James Anglican Church, Saskatoon, which had dwindled to just twenty-five people. When visiting renewal speakers Mr. and Mrs. Crouch visited St. James in August 1919, they prayed for Dr. Purdie in the rectory. Dr. Purdie was powerfully filled with God’s presence, resting in the Spirit, and beginning to pray in a supernatural language. In those early days, well before the impact of the Rev. Dennis Bennett author of Nine O’clock In The Morning, very few Anglican clergy were familiar with the charismatic gifts. 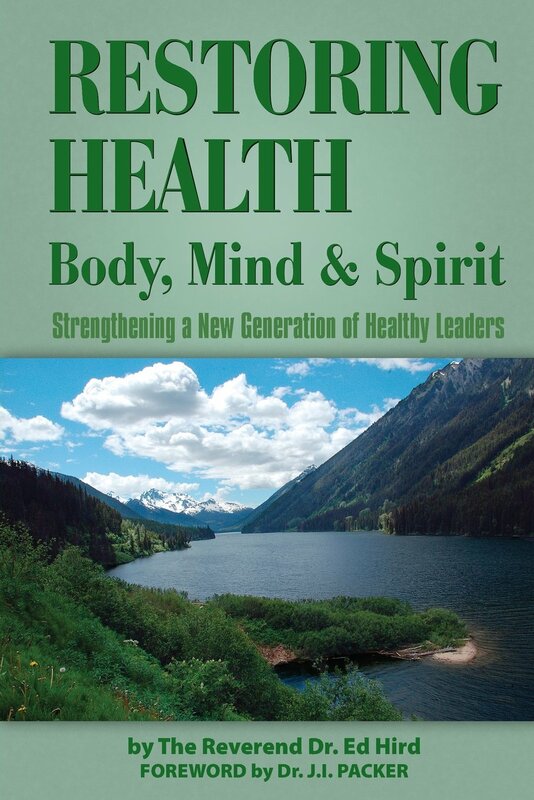 This experience was described by Dr. Purdie as ‘a fresh refilling of the Spirit of Life’. Dr Purdie saw his release of the gift of tongues as very similar to that of Vicar A.A. Boddy of All Saints Anglican Church, Sunderland, in 1907 where the Holy Spirit powerfully impacted all of England. Before Dr. Purdie left St. James, it had the largest Sunday School and most generous giving in the entire diocese. Dr. Purdie poignantly commented: “The failures throughout the history of the Christian Church are largely due to the fact that the Holy Spirit’s baptism has not been given its rightful place in the Church. To reject it is to reject the greatest asset for labour, service, and ministry that is the privilege of men to enjoy.” What a great challenge to renewal-oriented Canadian Anglicans in the early years of the 21st century! Categories: Uncategorized | Tags: 1907, 39 Articles, All Saints Sunderland, Anglican, Anglican Coalition in Canada, Anglican Mission in the Americas (Canada), Baptism of the Holy Spirit, Battle for the Soul of Canada, book of Common Prayer, Canon Jim Slater, catechism, charismatic gifts, Cobourgh Ontario, Dr James Eustace Purdie, Dr JI Packer, Dr Ronald Kydd, Evangelical, General Superintendent, George Griffin, God's presence, Holy Spirit, Manitoba, Maritimes, Mr and Mrs Crouch, Nine O'Clock in the Morning, PAOC, Pastor Ed Austin, Pastor Herb Barber, Pentecostal Assemblies of Canada, Prince Edward Island, promoted to Glory, RE McAllister, rectory, Reformed, renewal, resting in the Spirit, Rev Dennis Bennett, Rev Ed Hird, Saskatoon, St James Anglican Church, St John New Brunswick, St Luke, St Margaret's Anglican Church Winnipeg, St Paul's Anglican Church, St Peter's Anglican Church, St. Simon's Church North Vancouver, supernatural language, Tom Johnstone, Toronto, Unbelief, Vicar AA Boddy, Western Bible College, Wycliffe College | Permalink.